Back row has five 7 Day Lights and four sets of 10 small lights. 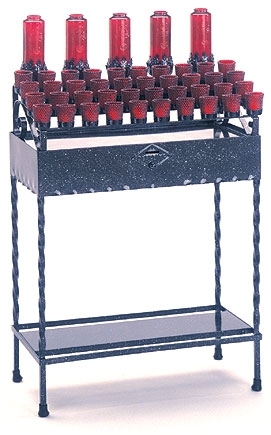 * Stand does not include glass votive holders. Votive holders sold separately.